Carolyn’s passion for the harp has taken her all over the world. 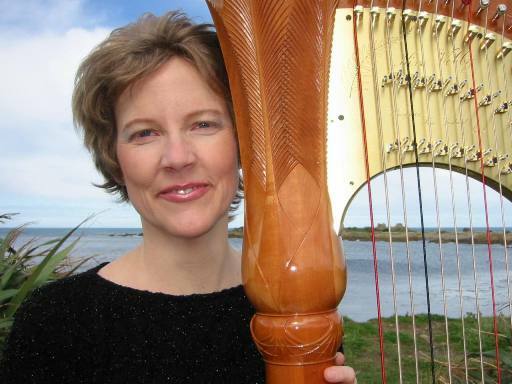 Principal Harpist of the New Zealand Symphony Orchestra since 1989, Ms Mills has also played with the Dallas and Houston Symphonies, and was Principal Harpist of the Orquesta Sinfonica de Mineria in Mexico City. She has performed as soloist with several NZ and US orchestras, and has played to audiences in Europe, Asia, South America, Canada, and Australia. Winner of several top awards, she has worked with many of today's most eminent musicians including Sir Neville Marriner, Kiri Te Kanawa, Vasily Petrenko, Yoel Levi, Alexander Lazarev, Tan Dun, Ray Charles, and Sting. Carolyn has recorded frequently for film, radio, television, and CD, and her appearances have taken her from Carnegie Hall to private functions for heads of state and royalty. Recently Carolyn played and recorded world premiere performances of a concerto for harp by Gillian Whitehead, commissioned for her by the NZSO. Carolyn has appeared as part of the New Zealand International Festival of the Arts, the City of London Festival, the Australian Harp Festival in Adelaide, the 10th World Harp Congress in Amsterdam, and the 12th World Harp Congress in Sydney. She has toured major cities in the USA, and with Chamber Music New Zealand and the Adam Chamber Music Festival. Carolyn is highly sought after as a teacher and adjudicator internationally, and her students have gone on to have many varied successes including top prizes in international competitions and appointments with orchestras and ensembles in several countries around the world. Mills became the world's southern-most harpist when she was invited as Guest Artist aboard the MV Marco Polo for its Antarctic Grand Circumnavigation tour in the 1990s. She is co-founder of Flight, with flautist Bridget Douglas, and the duo have performed extensively together since 2000. Their debut CD on the Atoll label was shortlisted for Best Classical Album by the Vodafone New Zealand Music Awards. Carolyn loves collaborating with composers, and has inspired many to write music for her, including Jack Body, Eve de Castro-Robinson, Kenneth Young, Helen Fisher, Michael Norris, Gillian Whitehead, and Gareth Farr. She has given numerous composers' workshops in NZ and the US, and you may download her advice to composers writing for harp from this site. 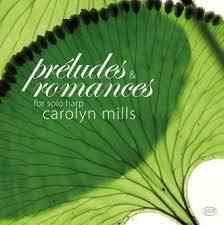 Carolyn studied the harp with the legendary Lucile Lawrence in Boston and at Tanglewood. She holds a Master of Music degree from Boston University. Ms Mills teaches both privately and as Artist Teacher at the New Zealand School of Music, and has conducted masterclasses and workshops in several countries. She has tutored at the National Music Camp with the Australian Youth Orchestra. Her students have enjoyed many successes, and perform as soloists and chamber musicians internationally. Also passionate about music in education, Carolyn has played to thousands of school children in the United States and New Zealand over the past two decades. Her 'Harp Informances' have been widely acclaimed and continue to entrance children of all ages. "...Some of the most atmospheric and diaphonously-woven harp playing in this piece I have ever heard...incomparably sensitive..."